Perhaps the most important aspect of tent choosing is to understand the various camping tent types. With this knowledge you know the intended functions for different camping tent styles and therefore what purposes each style of tent is most suitable for. This preliminary research is necessary to ensure you end up with a tent that provides the type of shelter you need for your camping trip. A good place to start in narrowing your search for the ideal camping tent is to determine what type of camping you’ll be doing and what season you’ll be camping in. 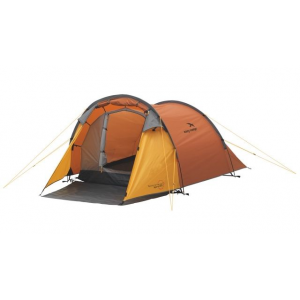 Seasons: Most tents are suitable and possibly advertised with a season rating. You’ll find two season ( mainly summer), three season (summer spring and fall) and four season tents which are designed to keep you high and dry in the worst of weather conditions including snow storms. Family/Car Camping/Recreational: For recreational camping folk they’re likely to be using a shelter that offers plenty of room, ventilation for summer use with no major concerns about weight. Backpacking/Backcountry: For us that pitch up at night after taking a pack of our backs, camp out in areas we could experience more varied weather conditions for extended trips or just take more regular camping trips in spring and fall, we start to have to consider many other factors including weight, design and durability when choosing a tent. Now that you’ve had a chance to consider the conditions your tent will need to handle, browse the overviews of popular camping tent styles below to find the type of tent that will work best for you. The Eureka Timberline is a classic A-Frame tent. 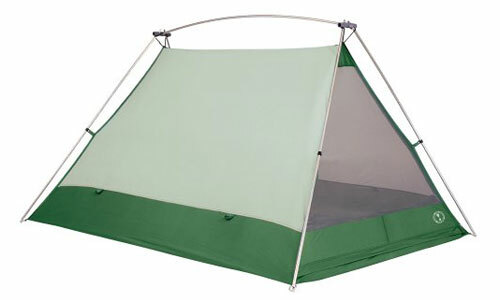 The A Frame is the classic tent style that is usually erected with poles standing from the 4 corners and a pole across the top. These are one of the least popular tents of today unless you use a Tarp or some of the 4 season shelters available. 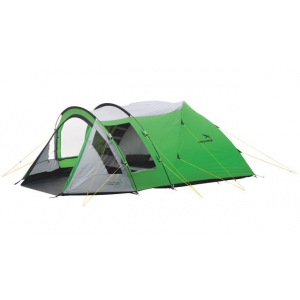 Head and shoulder room is a disadvantage for this camping tent because of the sloping walls on each side. The main height is along the whole of the centre of this type. 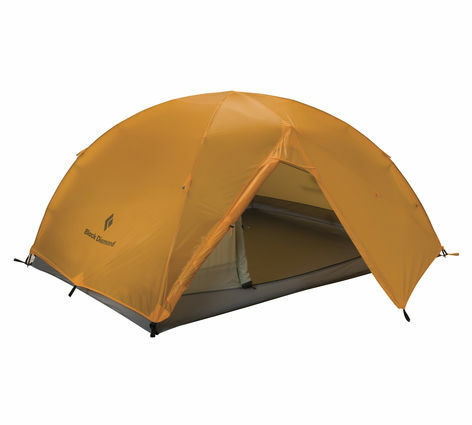 Many are too bulky and heavier than other types of tents for backpacking. If family camping other styles will prove to offer more room and better access. 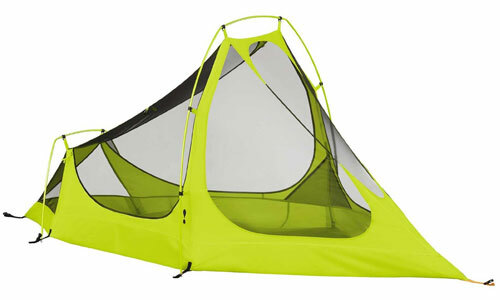 These are sturdy no-nonsense tents with a limited amount of choice on the market today, unfortunately. There’s also the modified A-Frame tent that incorporates a curved ridge pole providing more interior space. 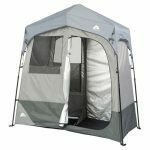 Suitable for: Family and car camping users that need a very strong shelter. 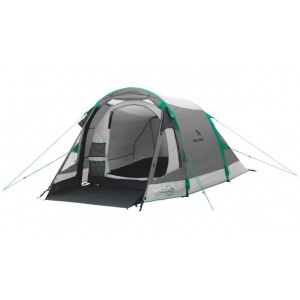 The Coleman Weathermaster Elite 6 is a highly rated cabin tent. Cabin tents are popular for families because they maximize space and offer a good amount of comfort. Removable internal dividers (curtains) allow some cabin tents to be split into rooms, if campers choose to make a separate room for children and want privacy. The design is similar the old frame tents, that provide near straight walls from the ceiling to floor which utilizes space much better than other tent styles. Cabin tents are very generous with room especially for recreational camping in the summer for a family wishing to create a home-from-home. The near vertical walls act as a shield from strong winds rather than allowing strong wind to breeze over it like a Dome tents, which is a disadvantage if a storm hits. These can weigh a bit more than other tents although this is of no concern for the car camping family. Suitable for: Family recreational summer camping. 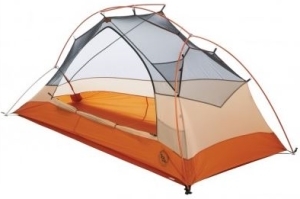 The Coleman Sundome is an affordable dome style tent. Dome tents are probably the most widely used and well known tent of all styles. These are a good 3 season option that can meet poor weather conditions well and summer conditions when a quality model is purchased. Sizes start from a one man to family size tents. 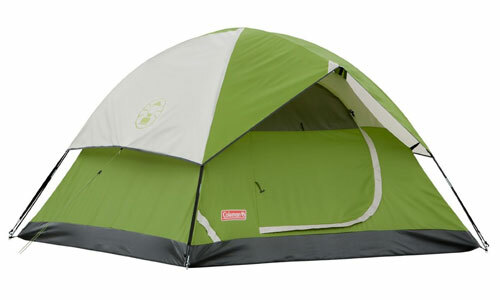 Dome camping tents will not provide as much head room compared to cabin and some tunnel tents because of the dome shape. 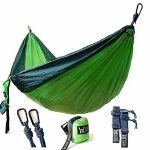 These will be easy to pitch and many lightweight models satisfy backpacking and hiking enthusiasts because they can be lightweight and use less poles. Dome tents use mainly two poles that cross over each other at the peak that can be pitched with the inner tent first or the outer (fly-sheet). Pitching an outer tent first enables an inner tent to remain dry in wet conditions when setting it up. The width and length of these can be the same measurements that forms a square floor area or they can be longer in length and have a rectangular floor. They will all offer the most head room within the center. Suitable for: Most types of camping and backpacking. 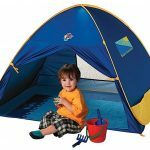 Pop up camping tents are popular because of their convenience. 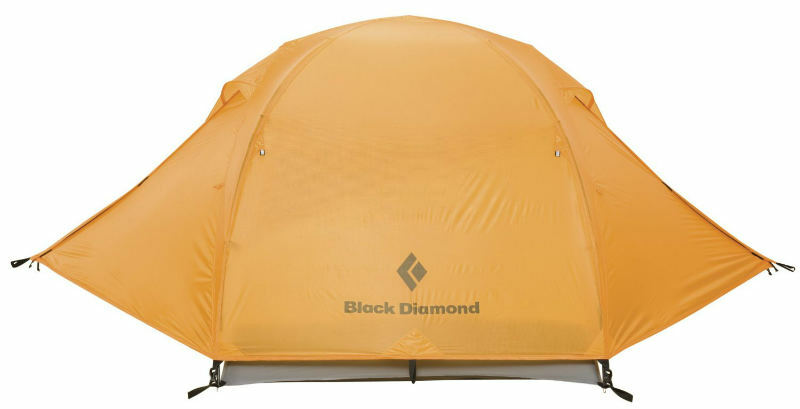 These tents typically have built-in fiberglass poles that make setup and takedown extremely easy. They also tend to be lightweight and portable. 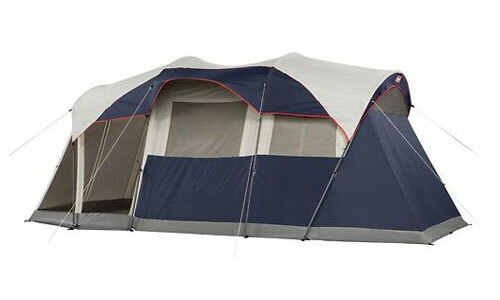 Another bonus for pop up tents is they are on the less expensive end compared to other tents. On the downside, pop up tents are not usually suited for holding up in adverse conditions. They are also not typically built for regular use, but rather just for occasional use. In short, they’re not as durable as other tents. To learn more, visit our article all about pop up camping tents. Suitable for: Occasional camping, fair weather camping. 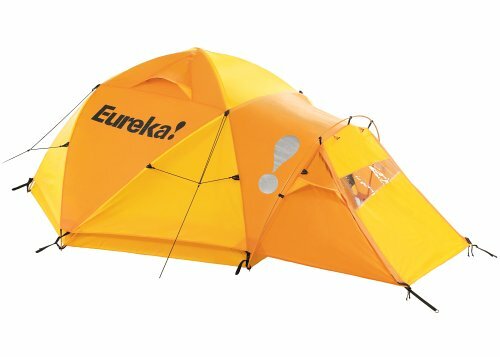 The Eureka K-2 XT Tent is a 4 season geodesic dome tent. Geodesic dome tents are the strongest of tents that have extra poles to support the fabrics against snow. 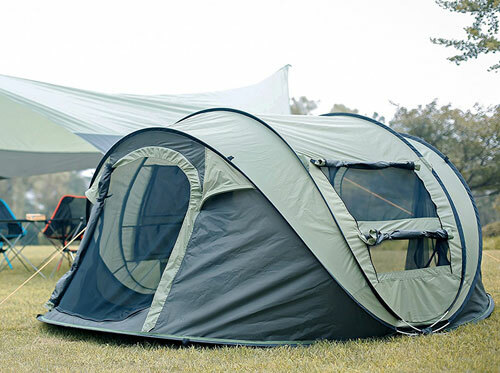 These are simply reinforced tents that can shelter users from the worst of the elements that are not required for recreational or summer camping. Geodesic, Semi-Geodesic and dome shelters differ because of pole design and the amount of poles that cross each other. To keep it simple a buyer just needs to know the strength of a tent needed rather than the name of the design. 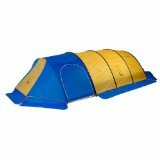 These tents tend to be more complex compared to other camping tent styles and often command a premium price. Suitable for: Mountaineering and extreme conditions. A Tunnel style tent is a popular type of shelter for car, family and recreational camping. They offer plenty of room like the cabin style because the poles arch from one side to the other creating a kind of semi-circle with plenty of head room. As the name implies when the poles are set up within the sleeves this create a tunnel shape. A disadvantage is that they don’t hold up well in windy conditions and they’re also known to be a little noisy (flapping about) in high winds. I’ve been at a campsite that had a storm and woke up to see about 20 of these no-longer standing. A big advantage with a tunnel tent is it’s usually easy to pitch, although, guy lines will have to be staked very well incase you do experince windy condtions. The larger models can provide convenient space for living and sleeping quarters or separate rooms depending on how you choose to use them. The near vertical tent walls make this tent somewhere between a dome tent and the cabin style. 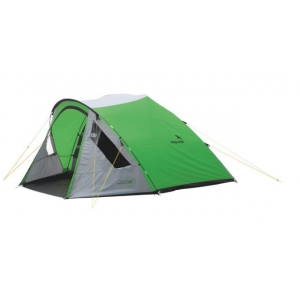 Suitable for: Recreational, family and summer camping. It’s true tent designs have moved on in a huge way over the years. The most important part of choosing is more about checking each tent for its size and suitability for the conditions a person camps in. 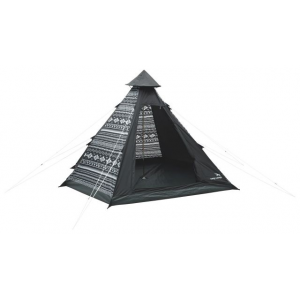 Above we offer a basic guide, however, you’ll find a tent can be a mixture of hooped and dome or whatever based on its pole structure which makes the design name less important than what its intended use is for. Hopefully the information we’ve provided has helped you identify the best camping tent styles for you. 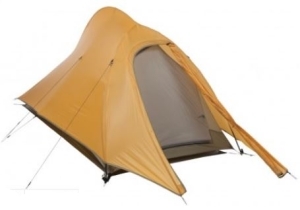 Here’s what can be more important than basing your decision mainly on the types of camping tents available: The important factors to consider is weight (for backpacking), ease of setting up, durability, ventilation, poles used, roominess, possibly a vestibule and other features you may require.